I have to say that my current face cleansing routine is on point. I always loved removing my makeup in the evening, it is such a nice ritual to end the day. A beautiful cleanser definitely makes the whole ritual even nicer and I have to say I've been really enjoying the products I've been using lately. 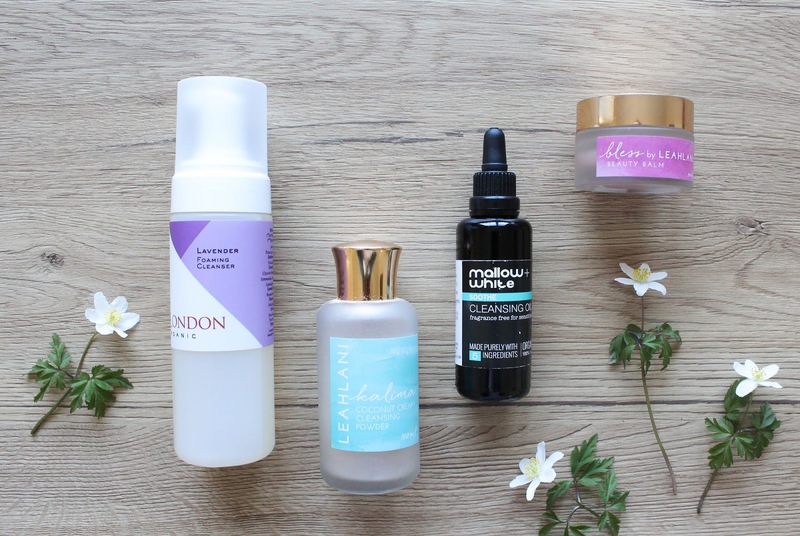 I will start with cleansers I'm using in the evenings. 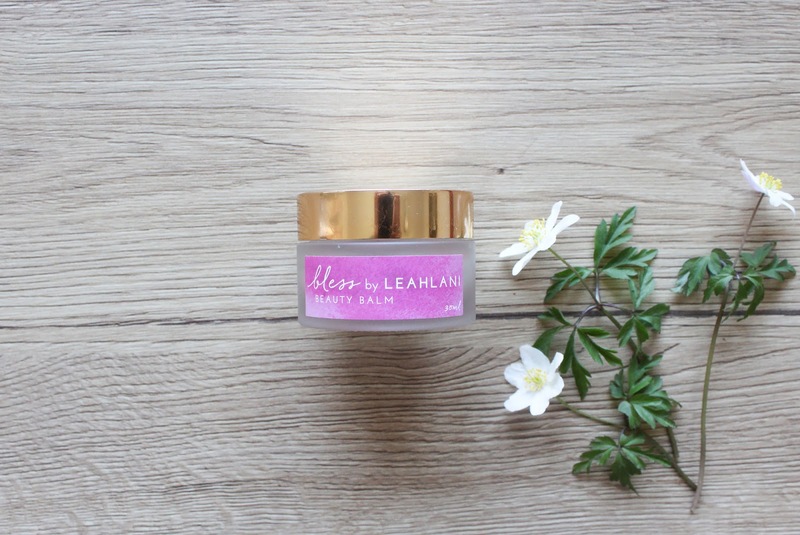 First product is a balm cleanser, the one and only Bless Beauty Balm by Leahlani Skincare. 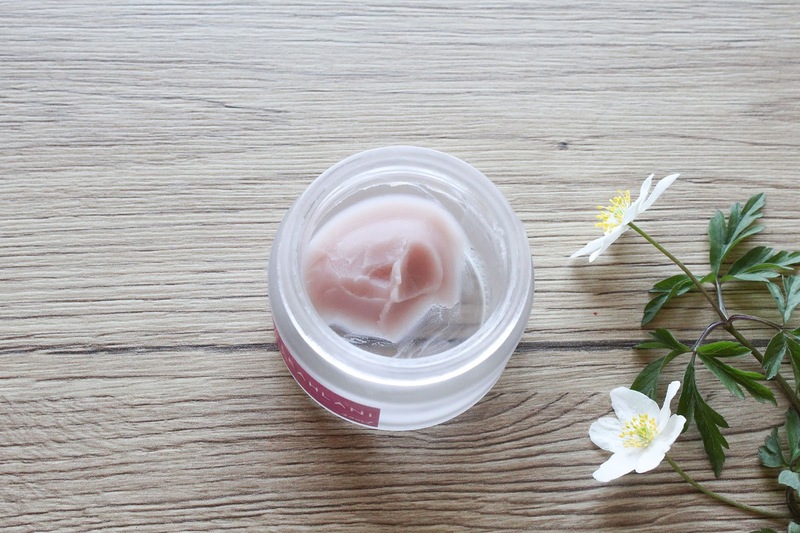 This is a delicate, silken moisture melt for your skin. A blend of organic and cold pressed oils and butters such as Shea and Cocoa Butter, Argan, Camellia, Maracuja Passionflower, Moringa and Marula Oils nurture and bless the skin. They create a beautiful soft and smooth as silk consistency that is just a dream to use. The scent is equally beautiful. At first it reminded me of lilies of the valley but at a close inspection I detected mostly Neroli. This sweet, grounding scent of orange blossom is infused with soft and tranquil Blue Tansy, which calms the mind and uplifts the spirit. And you know what else? As you can see, Bless is pastel pink! Oh how pretty. 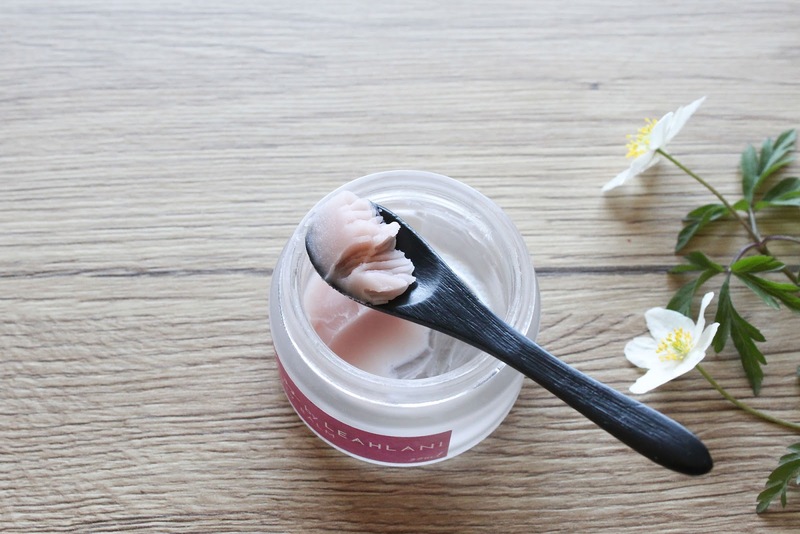 The balm wonderfully removes all my makeup and leaves my skin soft and nourished. I noticed I have to thoroughly remove all the balm from my skin with a warm wash cloth so it doesn't leave any residue. It is a slightly heavier balm so for some skin types I would recommend following with a second cleanse using some other cleanser. I will also say that if you have oily, acne prone skin do get a sample first because it contains Cocoa Butter which can clog pores. All in all it's a beautiful balm and I really do love it. The thought of using it in the evening excites me and that's when I know I love a product. Oh and it also feels soothing on my skin which is a big plus in my book! 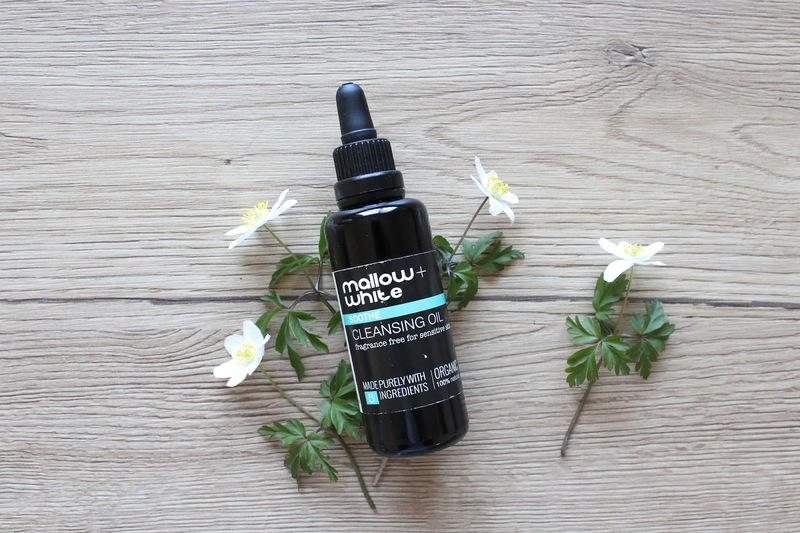 I follow up with a second cleanser, the beautiful Mallow + White Soothe Cleansing Oil*. This oil is super lightweight, has such a lovely calming scent of cucumbers and does such a great job at removing the makeup. The product is great for all skin types, even and especially for sensitive skin. It's 100% natural and made with only 5 ingredients. It's a beautiful product and I highly recommend it. You can read my review if you want to take a closer look. Okay so that's that for my evening cleansing routine. The only thing left to mention is that I always use a clean, warm wash cloth (cotton or muslin), an essential thing to remove balm and oil cleansers. For my first cleanse I use one side of the cloth and for the second I use the other side. Therefore I always have a clean side to work with. You could just use one product and perhaps use it twice (or follow with a gel or cream cleanser), all you really have to do is to get that makeup off! Now for the cleanser I'm using in the morning. I have another Leahlani Skincare product. What can I say, Leah's products are so magical, beautiful and effective. Kalima Coconut Cream Cleansing Powder (or should I rather say Dream instead of Cream?!). This has to be my favourite Leahlani product. Kalima is the Hawaiian word for cream and you better believe that your cleansing ritual will never be the same using this product. I've already proclaimed my love for it on my Instagram and every time I use it I fall more in love with it. 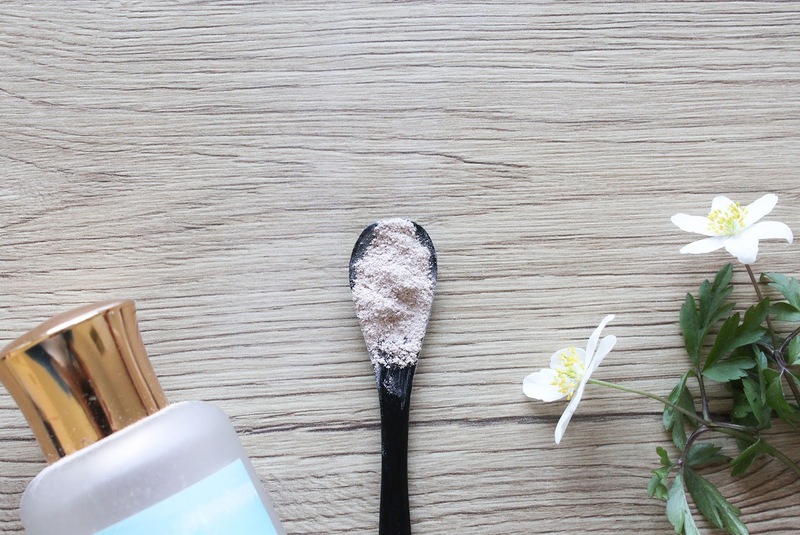 Kalima contains a bunch of beautiful ingredients like silken Coconut Milk, soothing Oatmeal, vitamin and antioxidant rich tropical fruits, softening Clays, organic Vanilla Beans. Check out the whole ingredient list here. I love that it contains a powerhouse trio of organic Hibiscus Flower, wildcrafted Camu Camu fruit and water activated vitamin C. Vitamin C is brightening and really helps to fade post inflammatory hyper pigmentation. It evens out my skin tone and I couldn't be more pleased with it. But enough about these gorgeous ingredients. As Kalima is a powder, you have to mix it with water in the palm of your hand. Activated with water, the powder transforms into this lovely pink potion with a mousse texture that gently exfoliates and thoroughly cleanses my skin. It leaves my skin smooth and soft. It truly works wonderfully and the thing that makes Kalima even more magical is its scent. As mentioned, it contains Vanilla and Citrus notes (Tangerine & Mandarin) and I have to say my nose really agrees with it. The scent is so SO good and I adore it deeply. Kalima is an absolute stunner! Oh and it also doubles as a beautiful mask and do I dare say it's slightly better than the magnificent Mermaid Mask? 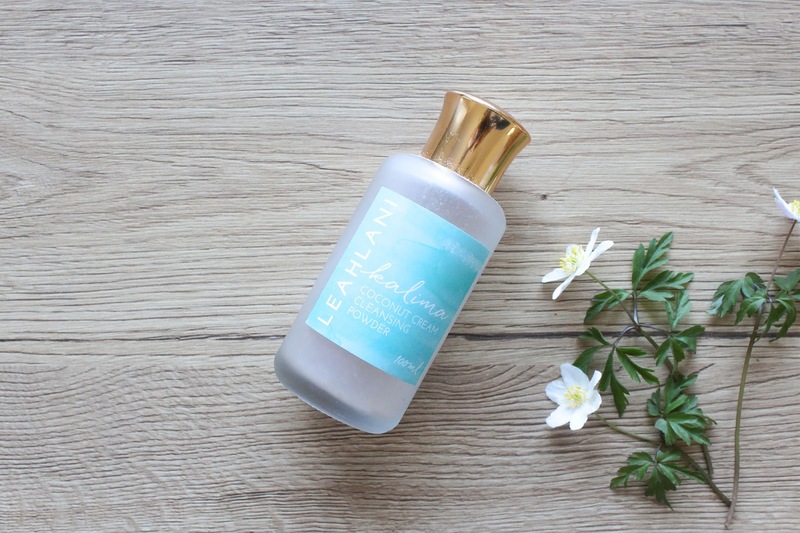 I know it's hard to pick and choose products to try first if you're just starting on your green beauty journey, but Leahlani Skincare is definitely a brand you should try as soon as possible because it really is magical. I get my fix at Reina Organics so I don't have to pay any additional charges. Love. Last but certainly not least is a brand I've been a fan of almost since the beginning of my blog. It's the lovely UK based brand MuLondon. The range is certified organic by The Soil Association, cruelty-free by The Leaping Bunny and registered vegan by The Vegan Society. MuLondon is a member of 1% For The Planet and is a Certified B Corporation. The brand was founded by Boris, who lives in the UK but is originally from Serbia. Boris is so kind and friendly and I always love chatting with him. Boris created one of the most delicious cream I have ever tried, the amazing White Chocolate Truffle Moisturizer. I can't even fathom how is it possible to create such a beautiful chocolate scent with only natural and organic ingredients. Mind blown! 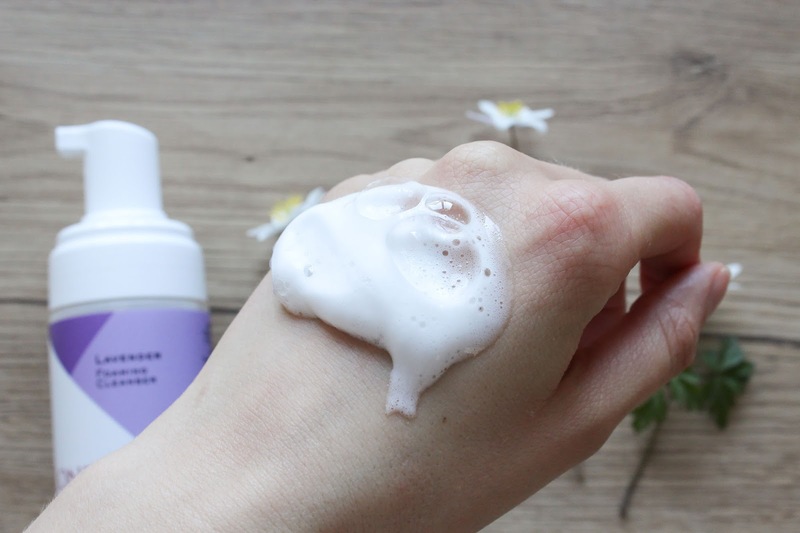 The product I wanted to quickly mention here is the Lavender Foaming Cleanser*. 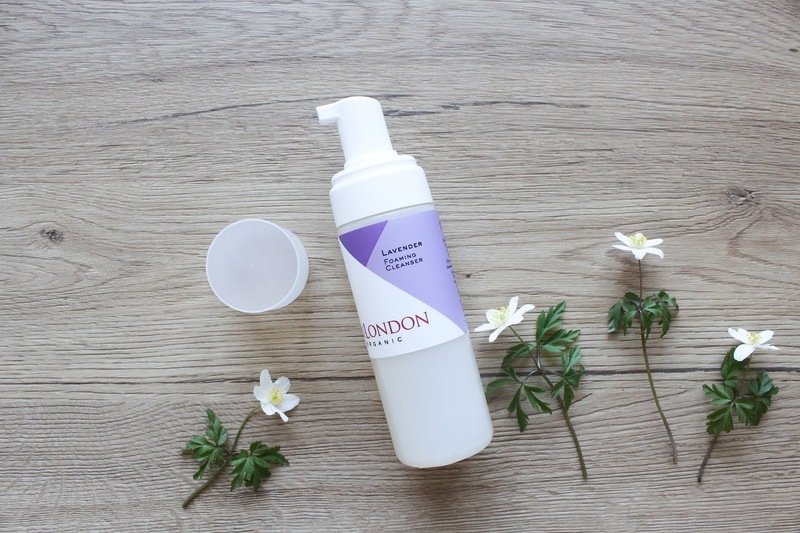 This cleanser contains less than 10 ingredients and smells exactly like Lavender. So beautiful. I'm not always a fan of lavender scents but when it smells like this than I'm all up for it. This cleanser is concentrated and you really don't need a lot. A pump or two is more than enough to wash your whole face. I really like using it when I'm in a rush, after a workout or just sometimes in the morning when I feel like lavender. I love that it comes out as foam, it's so fluffy and soft, and you really don't need to add it any water. While removing it you do get that squeaky clean feeling but you don't end up with super tight and dry skin. It doesn't leave any residue on the skin but your skin does feel happy when you apply a toner & moisturizer on top. I agree with their recommendation, I'd say it'd be a great cleanser for oily, young and problematic skin. I think it will be a great cleanser in the upcoming warmer months. Now it's time for you to spill the beans. Which cleanser(s) are you using at the moment?